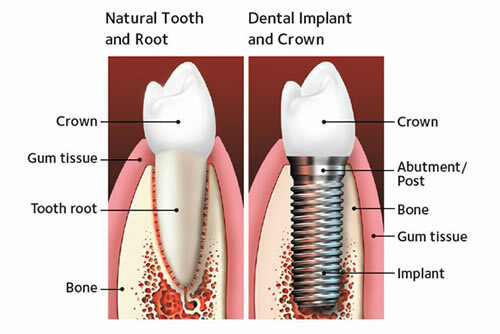 A dental implant is typically a small tooth shaped attachment usually made from titanium. It is inserted within the jawbone to take the place of a missing tooth root. 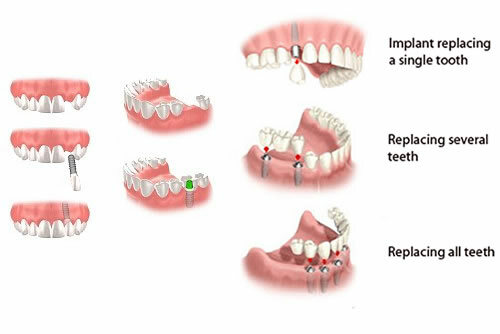 Once the bone attaches firmly to the implant, a replacement tooth can be secured to the top of the implant. This new tooth can look, feel and perform just like a natural tooth. 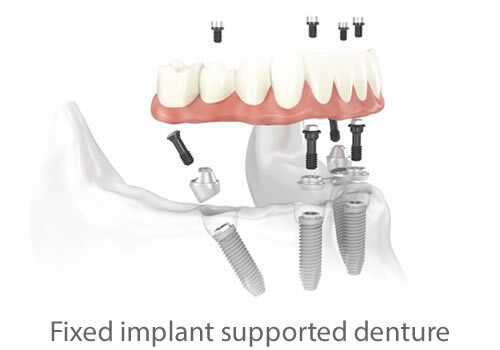 It is also possible to use multiple implants to support a denture or bridge. Implant secured or stabilised replacement teeth are more comfortable than conventional dentures because there is no slipping or movement. This eliminates some of the key worries of dentures and improves self confidence. Dental implants are the alternative to bridgework for permanently replacing missing teeth, eliminating the need to grind down healthy teeth. When teeth are missing the surrounding bone begins to shrink. 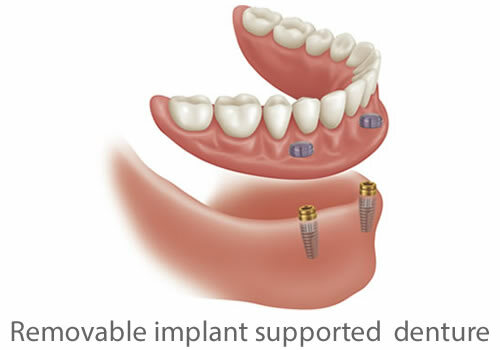 Dental implants can help maintain the shape and structure of the jaw bone.